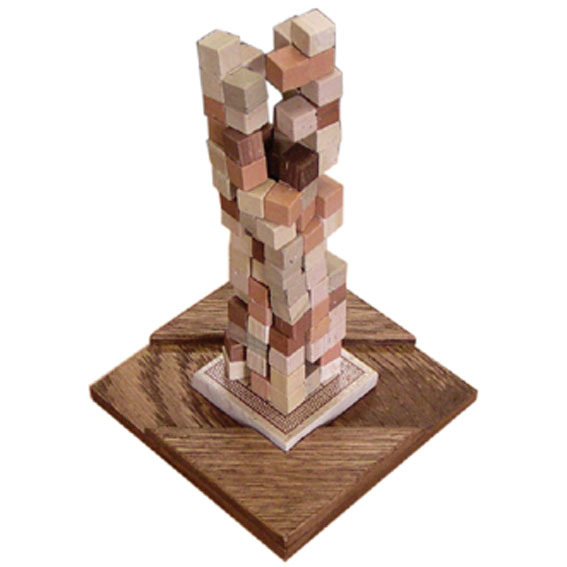 "Ancient Construct" is a 3 dimensional puzzle game. 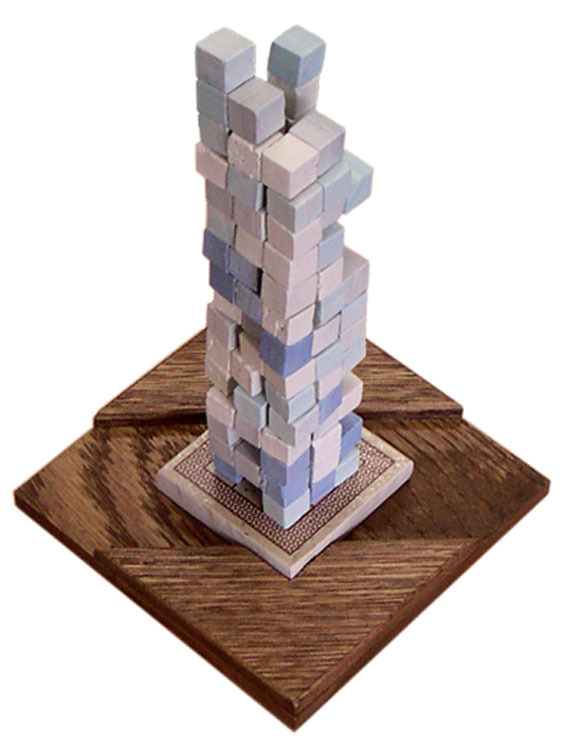 It contains 24 pieces made using 99 tile blocks and a square wooden and/or tile base (game board). 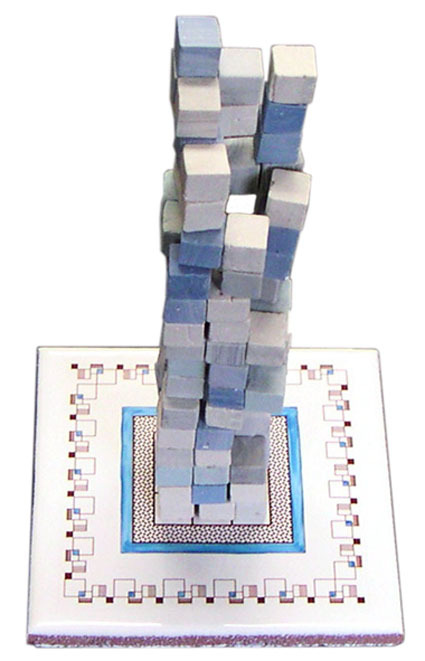 The winner is the one who plays the most blocks by the end of the game without causing the construct to fall apart. One needs not only 3D imagination, but also great balance and precision. All pieces are intentionally made uneven as handcrafted by the artisan gamemaker, which makes it more difficult to balance. 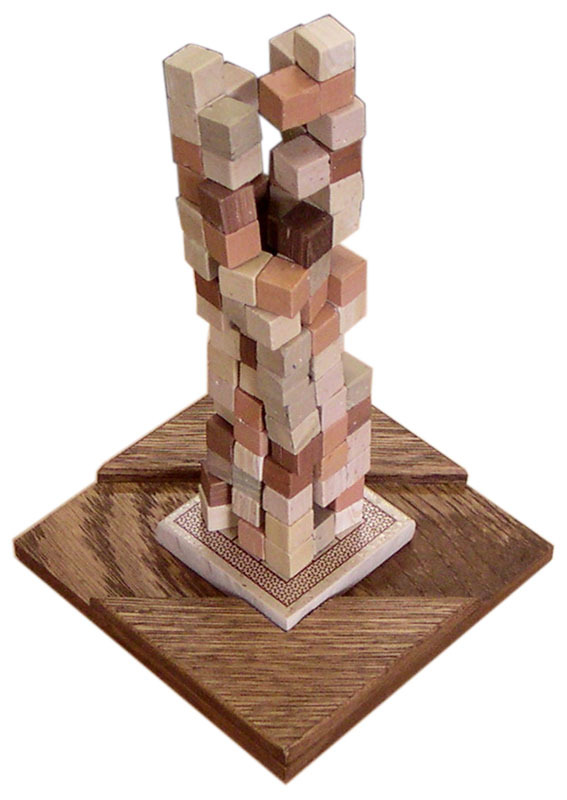 The unevenness of the pieces also makes each game-set unique while adding to the final beauty of your Ancient Construct! Yet it is a very simple and enjoyable party game! more information in japanese about Ancient Construct. click here! To build the construct with 24 pieces without causing it to fall. The winner is the one who plays the most blocks by the end of game. But if you knock over the construct - you lose! It is a 3D puzzle game with 24 pieces, made by 99 blocks. 3-block pieces in 2 patterns: 6 pieces. 4-block pieces in 5 patterns: 10 pieces. 5-block pieces in 7 patterns: 7 pieces. 6-block piece in 1 pattern: 1 pieces. You can make colplete aquare pole with 24 pieces. Ancient construct platform tile or wood base. Each player takes turns choosing and placing one piece, starting on the platform base, to build up the construct. 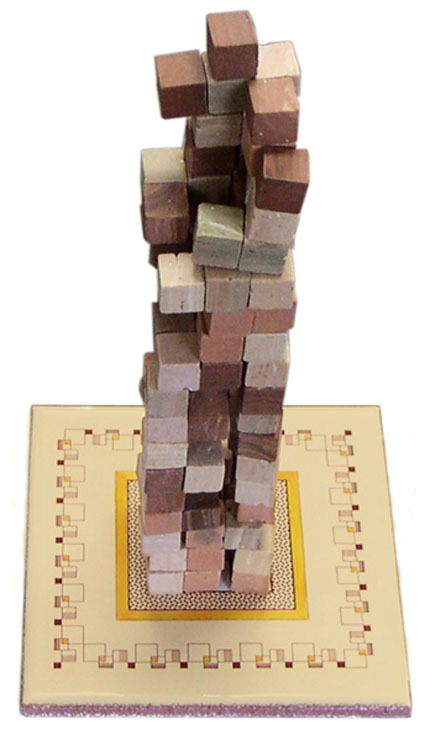 Pieces are played such that all blocks conform to the 8-square tile diagram drawn on the platform base. 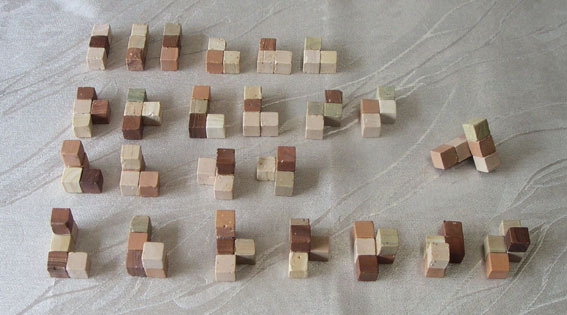 None of the blocks of the piece can be fully outside or inside of the 8-square tile diagram format. The player has to play the first piece he touches. Also, one cannot rearrange or straighten the pieces already used in the construct. As play continues, the construct's shape will look like an uneven tower or chimney. Score is kept by the number of blocks (not pieces) played. 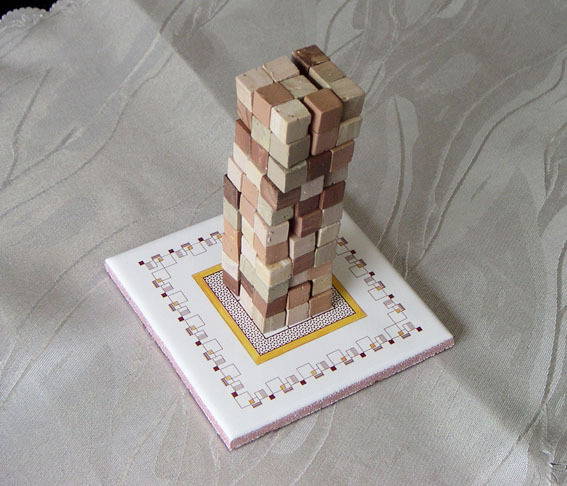 Game ends when all 24 pieces are played or when the ancient construct has been partially or wholly knocked over. The player with the most points who did not cause the construct to fall is declared the winner. In the end, the structure will look like a beautiful Ancient stone construct, hence the name: "Ancient Construct"! 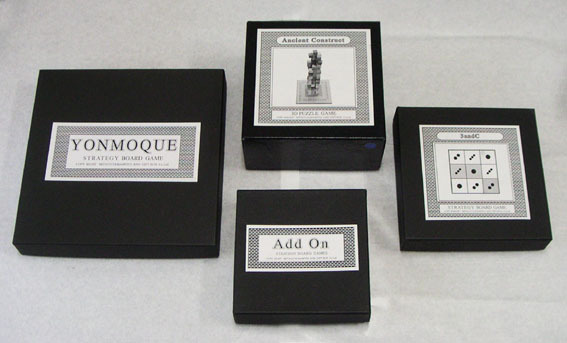 Ancient construct can be played alone or as a party game to be enjoyed with many players!